Of the four books I have written, this has always been the best seller. It is the story about a collection of Indian artifacts that family members and I have collected over the years, mostly from our own family farm in Sparks and other farms and ranches in Nevada. Collecting Indian artifacts on public and Indian lands has been prohibited by the Archaeological Resources Protection Act of 1979. 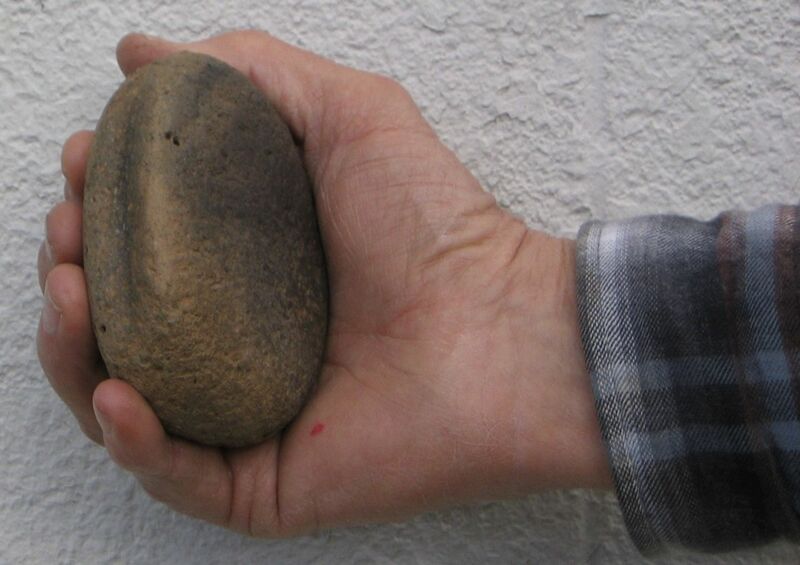 Picking up projectile points, arrowheads, knives, scrapers and other stone tools can still be taken from private property with the permission of the owner. Human remains and grave goods are protected wherever they are found in respect to the Native American Indians. Caves and known archaeological sites are off limits to artifact hunting. The collection described in the book is now located at the Carson Valley Historical Museum in Gardnerville. It contains over 1,000 items that I have identified and dated with a method used by archaeologists known as the Thomas Key Method. Some of the stone points can be dated in excess of 10,000 years. 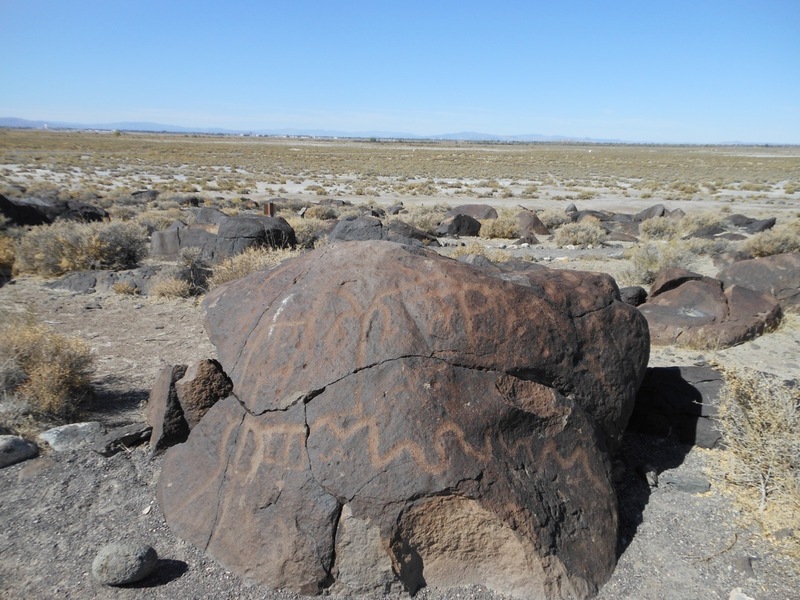 There are many drawings of the various types of points and photographs of knives, scrapers and household items used by the Washoe, Paiute and Shoshone Indians throughout Nevada. Archaeologists have been reluctant to write about or do any further research on a mysterious set of mummified remains found in a cave east of Fallon, Nevada known as the Spirit Cave Man. I have written about this discovery in my book and I describe some of the research done on this person before the ban on further studies happened. All indictions are that this person lived nearly 10,000 years ago and was placed in a dry cave in the Grimes Point area complete with fur clothing, moccasins and woven matting coverings. When a forensic study of his skull and facial measurements was made, it was determined he was not related to any modern Indian tribe, but had skull measurements of a Caucasian person. A group of Native Americans requested that no DNA testing be done out of respect for the dead. The BLM and the Nevada State Museum have honored this request and none of the grave goods found with this individual will be displayed. I have always disagreed with the ban on study of this individual, since I consider it to be one of the most amazing archaeological discoveries ever made in the United States. Allowing study of this individual could change all theories about how and when the north and south American continents became populated. 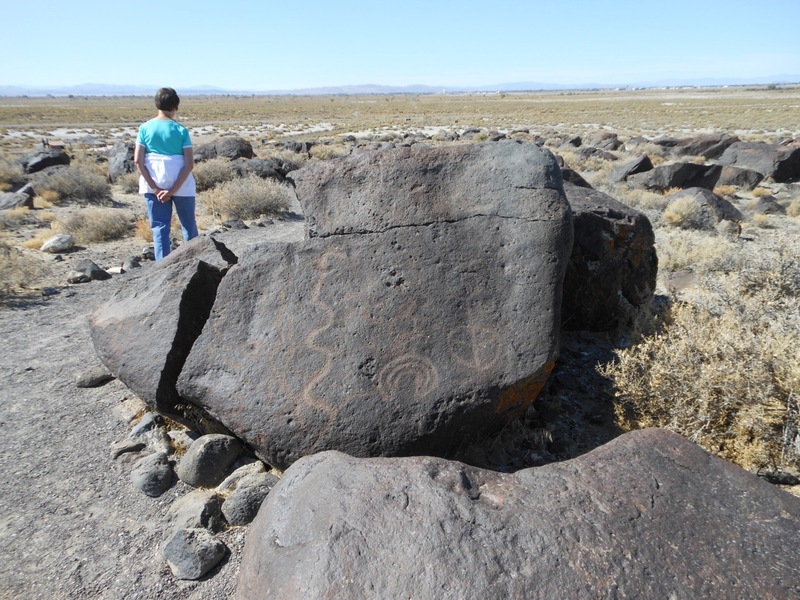 “Preserving Traces” contains copies of the Nevada State laws relating to artifact collecting and the Archaeological Resources Protection Act of 1979. There is an interesting fold-out chronology chart in the back of the book that shows on a time scale what types of projectile points have been used in the Great Basin for the past 12,000 years. There is a chapter that is a humorous fictional account that tells how the Indians were able to make arrows from the sticks and stones they found in their natural environment. I once had a call from the Folsom College in Folsom California for 24 copies of the book. When I asked why they wanted so many, they said the professor had seen the book and wanted it to be the text book for his class on Great Basin Anthropology. I had never considered it would be used as a college text, but stranger things have happened. Unfortunately, the Mark Twain Book Store and the Gold Hill Hotel Book Store are no longer active, so my books are not available on the Comstock. If you would like copies of any of my books, please write to me using the contact form. The books also are available via amazon.com. 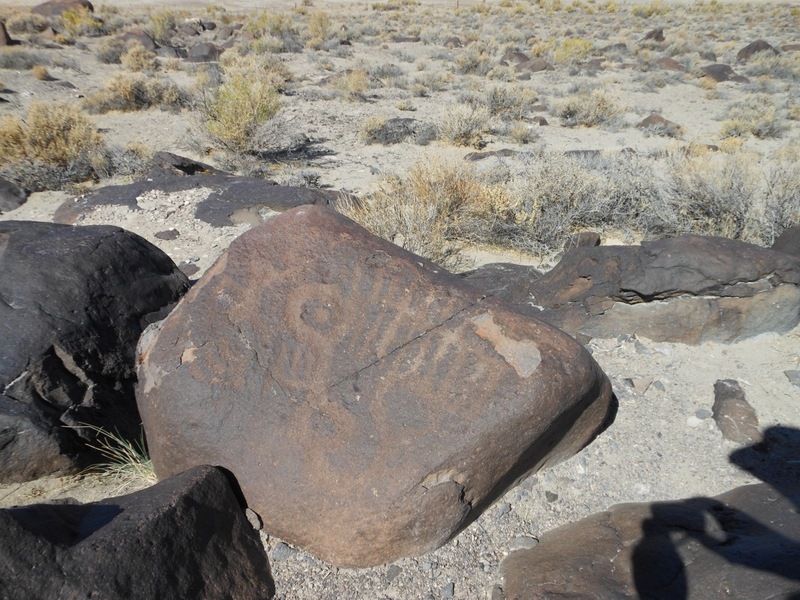 On a Father’s Day outing to Fort Churchill about 15 years ago, I happened to discover one of the most interesting Indian artifacts I ever found in my many years of searching the Nevada deserts. 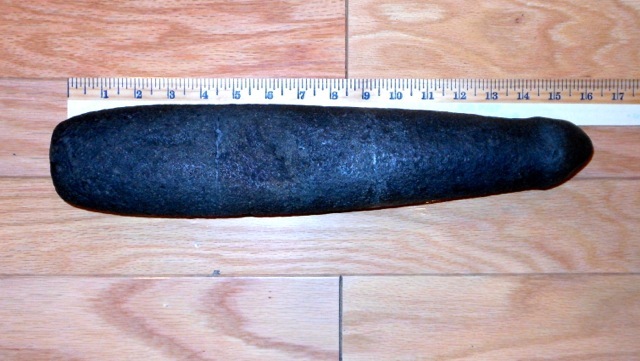 The finely chipped artifact was made of shiny black obsidian just over 2” long. 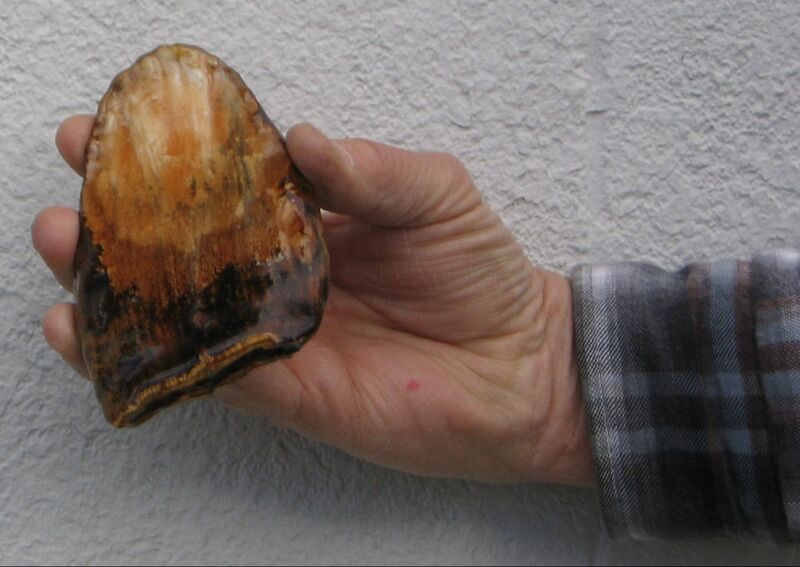 This material commonly was used to make arrowheads, scrapers and other tools by the Great Basin Indians. The shape of the item completely baffled me. It was as if someone had fused together two large arrowheads. It also bore a striking resemblance to a butterfly or the tail of a fish, such as a trout. Fort Churchill is situated along the Carson River about 30 miles east of Virginia City. It was built in the 1860s to protect the people of the Comstock from Indian raids following the Pyramid Lake Indian Wars. The area where I found the artifact was on a privately owned ranch across the river from the ruins of the fort. It is illegal to pick up artifacts from state or federal lands such as a state park or BLM land. Out of curiosity, I took the artifact to an archaeologist friend of mine at the Nevada Department of Transportation, Joe Moore. He was able to identify the curious piece as a “Great Basin crescent.” Joe told me they were extremely rare and are found only where the water level of ancient Lake Lahontan was between 7,000 and 9,000 years ago. He said they probably were used for something to do with the abundant marshes that existed around the lake at that time. They are so old and so unusual that no one today is sure exactly how they were used. I studied a map of the Great Basin that showed where the shorelines of Ancient Lake Lahontan had been. Sure enough, the lakeshore touched the exact place where I had found the crescent. In fact, I was surprised to learn the lake extended as far west as Dayton, including all of Dayton Valley. I was able to confirm this recently when I discovered chunks of tufa in Dayton Valley. Tufa is the white “popcorn” rock like the ones you can see around Pyramid Lake. It’s always formed only when rocks are submerged underwater for a long period of time. I contacted Donald Tuohy at the Nevada State Museum to see if he could tell me anything else about the crescents. I learned there were three basic shapes, including a crescent moon, a half moon and the butterfly shape, which is the type I had found. Don confirmed that the crescents were very old and that archaeologists do not know for sure how they were used. He said they may have been hafted as some type of projectile point or perhaps as a throwing stick. At that time, there were no crescents on display at the museum. I asked if a display could be created so the public could see these interesting artifacts. The museum now has constructed such a display. Many crescents were found years ago at certain places around the perimeter of the Black Rock Desert. It is illegal to look for artifacts there anymore due to the Archaeological Resources Protection Act of 1979. 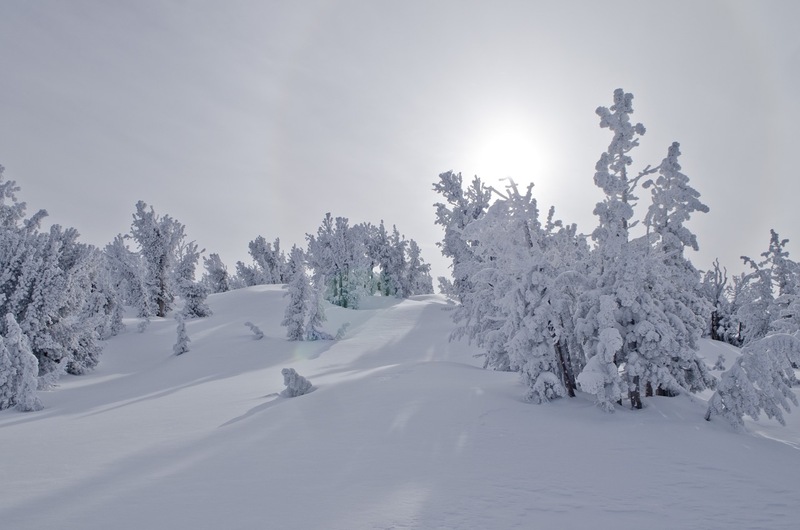 This is BLM land, and there probably is nothing to be found there after so many years of being picked over. At the time the crescents were made, the Black Rock Desert was a lake with marshes and abundant wildlife along the shore. The crescents likely were used for some hunting or gathering function along the marshlands. Crescents are an artifact confined to the Great Basin. No similar artifacts ever have been found in any other areas. When I prepared the collection of Indian artifacts I donated to the Carson Valley Museum and Cultural Center in Gardnerville, I included several crescents and some theories about how they may have been used. 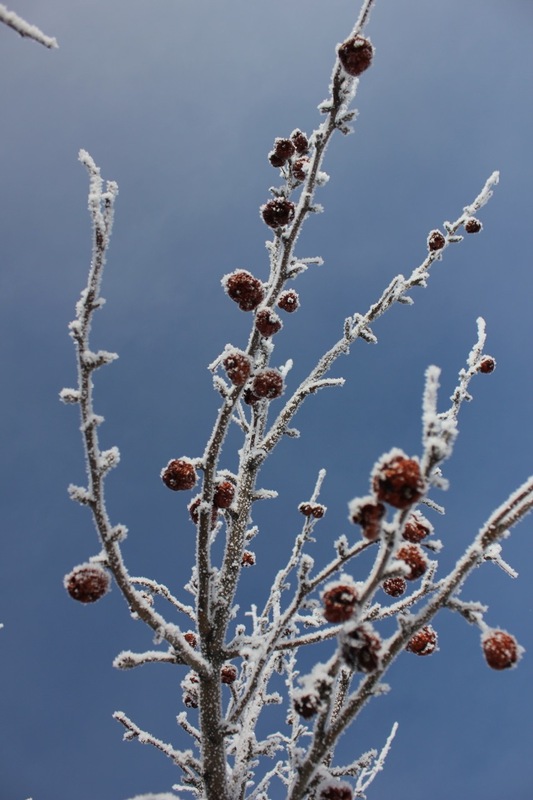 If you would like to see the crescents, including the one I found near Fort Churchill, you can visit the Carson Valley Museum and Cultural Center from 10 a.m. to 4 p.m. Monday through Saturday. You also can see a slideshow of the collection, here.